We take pride in our commercial cleaning services. We're able to cater to your companies needs thoroughly ensuring that bins are emptied, toilets are cleaned as well as hoovering and much more. Give your property a refreshing boost with a deep clean which is carried out by prompt and dependable professionals. 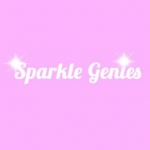 At the end of a tenancy sometimes properties are left in an unsuitable manner, Sparkle Genies will work their magic sprucing up your home. Make sure that your holiday home is left perfectly pristine and ready for the next occupants by taking advantage of our unparalleled cleaning services. Terms: Call or see website for more information, including prices and availability on our cleaning services.